September Beach is one of the bigger campgrounds in the Park, with 13 sites. Access is via paved and unsealed roads, all which are suitable for 2WDs and caravans. It is one of the more popular campgrounds in the Park, as is situated behind sand dunes (so no views to the beach). When we visited, this was the campground that had filled up the most rapidly of all the other campgrounds in the Park. 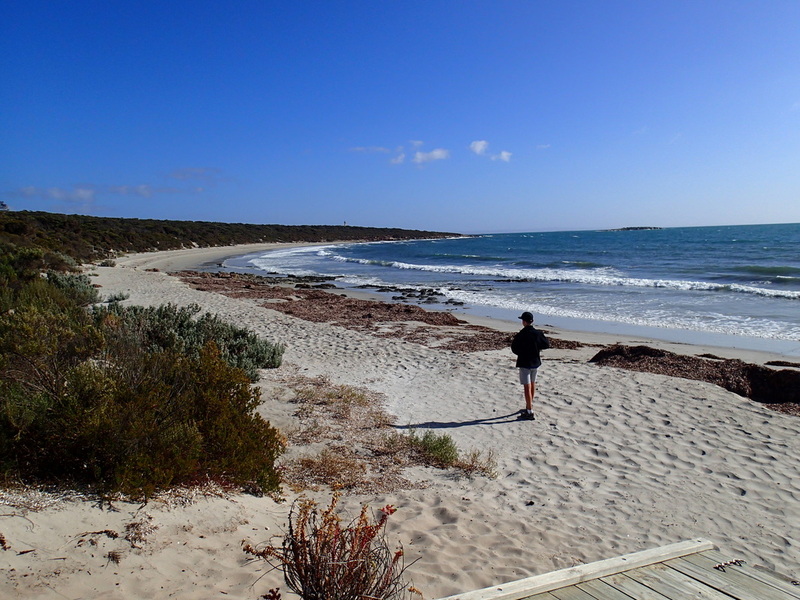 Set behind small sand dunes, the campsites are all very clearly designated and all of a good size, suitable for every sort of camper. This was where many caravans seemed to head for their go-to camping spot in the Park, as the sites are spacious to accommodate even some of the big rigs. 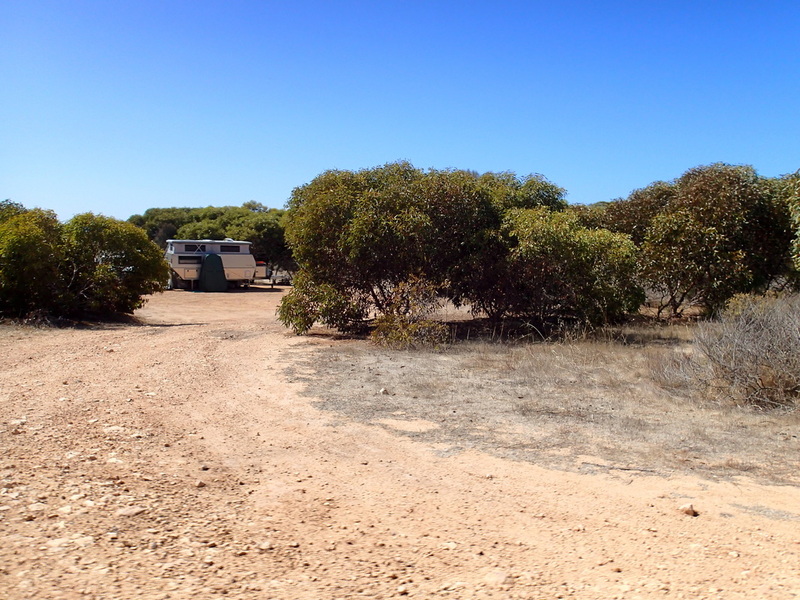 There is some shade at the sites - low level mallee scrub - and that provides the screening between sites as well. Some of the campsites are up against the sand dunes, and a few are higher up on a small hill, overlooking the other campsites - nothing too steep, but also a bit further from the water. 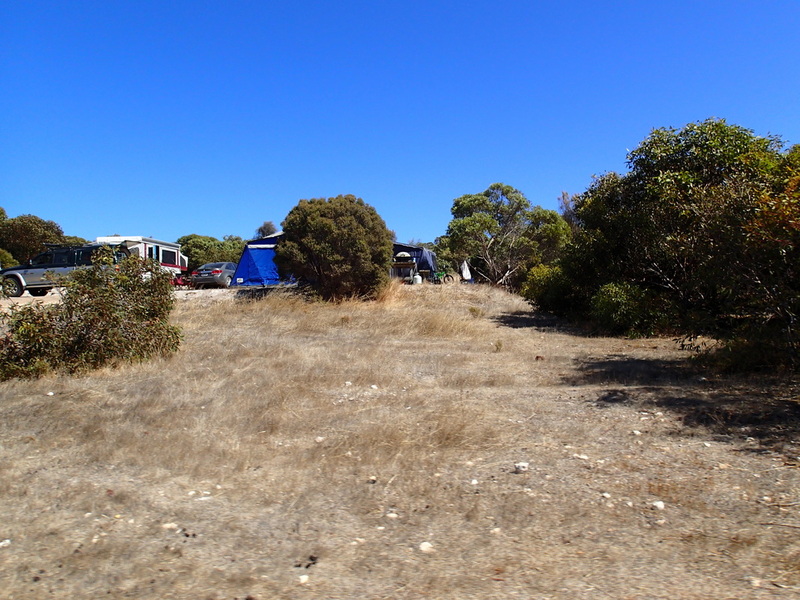 A few of the campsites are very large, and in one campsite we counted 7 vehicles, so this is a good spot if you are camping in a group, and want to be together. This campground was obviously a firm favourite for many campers as we could see by its popularity compared to other locations in the Park. It's a nice part of the world to visit, but this campground doesn't have views which was important to us when we travelled this far to see the beauty of the Park. Apart from the sound of the waves, we could have been anywhere. But some campsites, did have a small path that led them to the beach, so the water is very close by. Not every campsite is going to appeal to everyone, and this one, just wasn't one of my favourites. 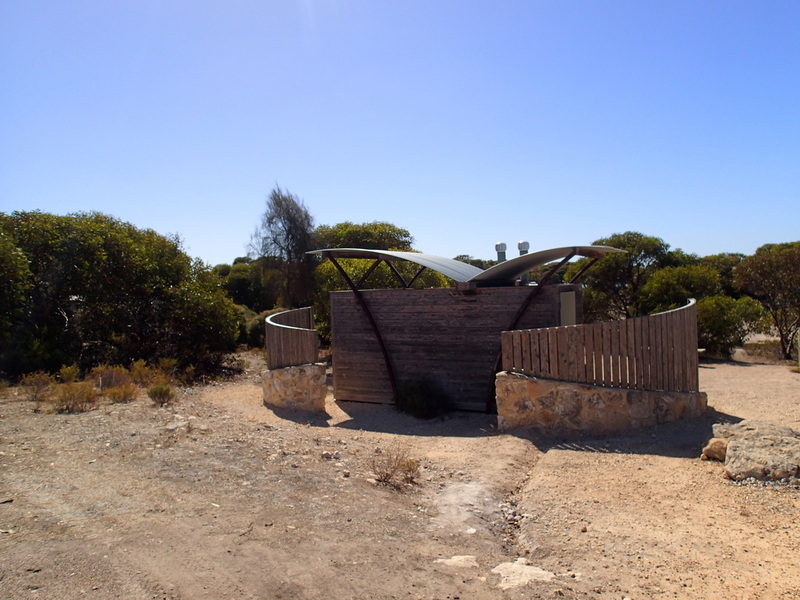 There is one toilet block (drop) at the campground. Quite modern and relatively clean and not too smelly. A water tank was nearby (treat all water before use), but it was very low on water when we were there, so make sure you bring in all your water supplies, as the town would be at least 45-55 minutes away should you not bring in water. Many people brought in their own chemical toilet as the sites can be a bit of a walk from the toilet block. Generators are allowed between 9am and 9pm so please be considerate of your neighbours. A lot of the bushwalks go through this part of the Park, and this was a great place to start one of the walks that takes you through very scenic landscapes, such as the Donington Loop Hike - highly recommended walk as you see some gorgeous beaches, completely deserted and not easily accessible unless you are walking. 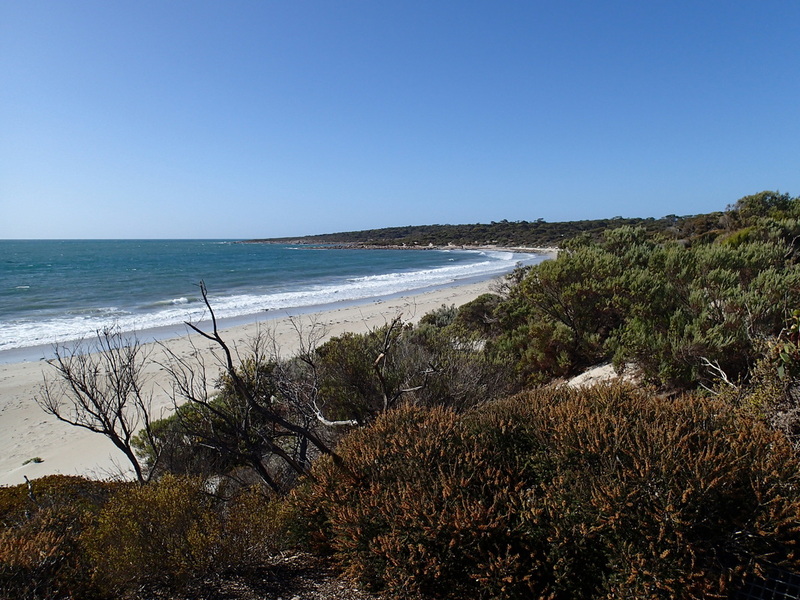 There is a day area as part of this campground, where people access the beach, have picnics and begin the walk. September Beach itself is not as protected from the winds as other parts of the Park, so the beach is a little choppier than some of the protected coves we had visited. More care would be required with children at this beach.